The LA-SFV AGBU-AYA Chapter offers Armenian and International Dance classes for children from kindergarten and up. Classes are conducted by Gevorkian Dance Academy’s Sona Gevorgyan at the AGBU Center in Canoga Park, CA. 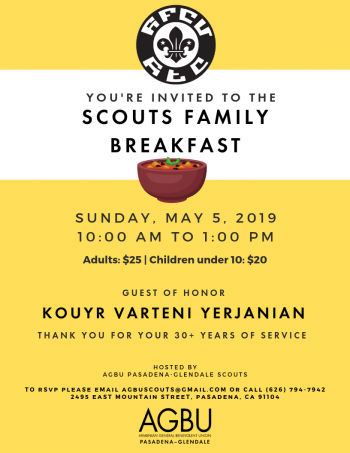 For additional information, please contact the AGBU-AYA Chapter.